So you don’t think that high-concept furniture can stand the heavy use in your household? Think again. 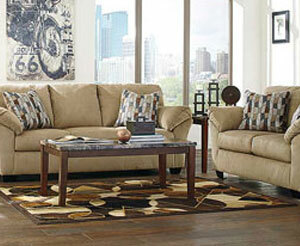 Roses offers you the livable yet lovely answer in Mississippi’s renowned brand, Benchcraft furniture. This watchword of all-American quality is now married to the world’s No. 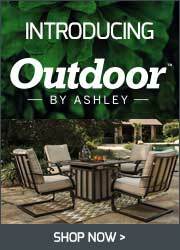 1 furniture-maker, Ashley. What does that mean to Roses and you? You get Benchcraft’s down-home quality, refreshed in exciting designs combining European art flair and years of household feedback on what works. Better still, now Benchcraft’s efficiency in manufacturing means they and we pass down tremendous savings to you. New times call for bold designs that you, your family, and guests can really LIVE in. That’s why Benchcraft living room furniture is built to last on rock-solid engineered wood frames and a dazzling array of upholstery. Kids and dogs are no longer an issue when you’ve got your Benchcraft sofas and arm chairs wrapped in indestructible Nuvella performance fabric! 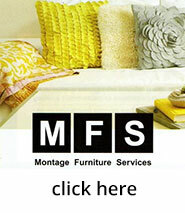 We challenge you: your family will NOT wear out this furniture. 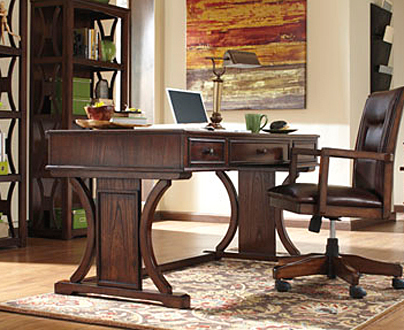 Don’t forget one of our all-time customer favorites, a Benchcraft power rocker recliner. This baby boasts one-touch power that smoothly moves your chair into your best position, plus scientifically proven lumbar support for your lower back, all swathed in distinguished, durable polyester, vinyl, or polyurethane upholstery. If you need elegant but reliable pieces for your master suite, Benchcraft bedroom furniture could be your answer. 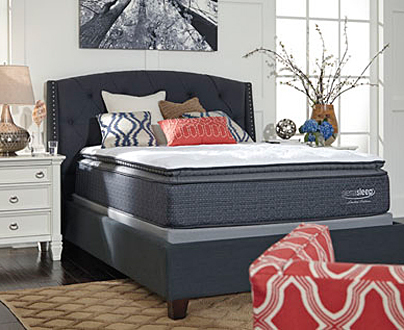 Our people’s choice winner in this category is a stunning queen bed, America’s most popular size but it comes in others. Enjoy trim lines reminiscent of country style with this panel bed design graced with a faux weathered finish. 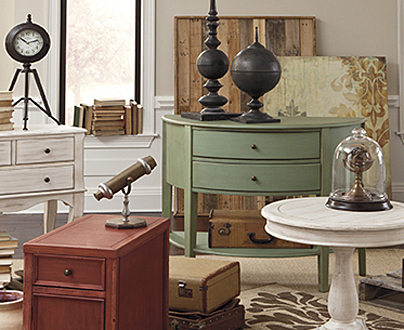 Other Benchcraft bedroom collections feature colonial and mid-century modern looks. 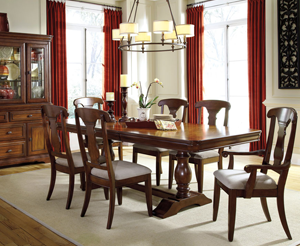 Your next holiday dinner will be a hit not only for your cooking if you get exquisite Benchcraft dining room furniture. We personally love their set featuring an extension table able to accommodate eight guests. 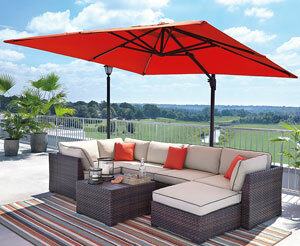 This comes with your choice of sleek rake-back side chairs and the dining benches kids love. Stop wasting good money! 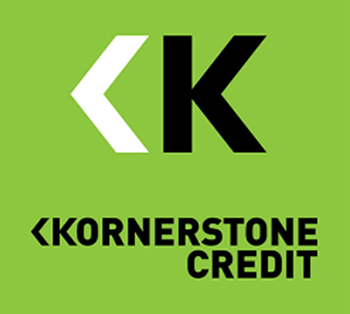 Your time and your budget are worth saving. 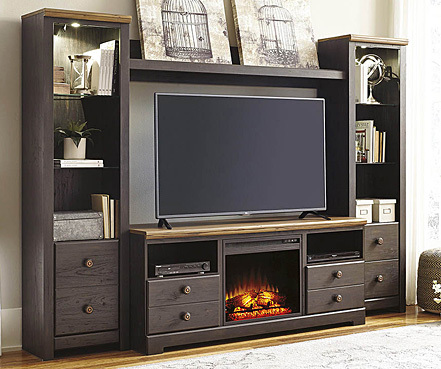 Do it right by getting a great deal on rugged yet design-smart Benchcraft furniture at our Cleveland, OH store or any of our other locations.